Dr. Dean Musson, former director of the Crossmen and brass caption head for several corps, passed away Thursday, Sept. 1 of an apparent heart attack. He was 49. Musson began his association with drum corps as a member of the Florida Wave in 1984. He taught Wave's brass line from 1985 through 1989. After serving as a musician in Busch Brass, a live music ensemble that entertained at Tampa's Busch Gardens, he joined the Colts brass staff in 1992. He taught the Colts through 1999, helping the corps place in the DCI World Championship Finals for the first time in 1993 and then five more times during his tenure. The Crossmen hired Musson as the brass caption head in 2000, and during the 2002 and 2003 seasons, he served double duty as the caption head and corps director. In 2004, he joined the brass staff of the Glassmen. "Within two summers this man had a huge impact on my life and who I became not just as a musician but as a person," former Glassmen member John Pereira said in a post on Facebook. "He will truly be missed and is definitely one of best educators that I've been blessed to be taught by." Musson's love of the marching music activities was never far from his heart; his masters' thesis and dissertation focused on how the sound of brass instruments was perceived in an outdoor performance environment. 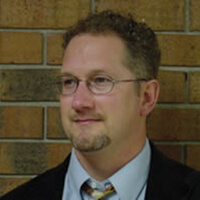 He received a doctorate in music education from the University of Kansas in 2008. Outside of the drum corps activity, Musson was a middle and high school director of bands in Florida. He also taught at the university level. Funeral arrangements are still to be confirmed. View a Facebook page in memoriam of Dean Musson.